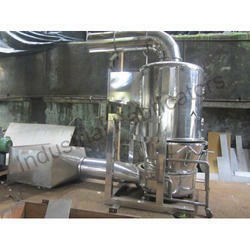 We are offering Pharmaceutical Dryer. All the prices are mentioned when the rate of one dollar is equal to 64.19 Rs. We have marked a distinct and dynamic position in the market by providing a high quality array of Pharmaceutical Fluid Bed Dryer that is used for drying granules, crystalline, coarse or similar material in chemicals, food & allied industries. We are offering our patrons’ an exclusive range of Tray Dryers, which is fabricated using superior quality raw material, sourced from the reliable vendors of the industry. Our range is manufactured in compliance with the set industry standard. - Electric or Steam Heated. - Contact parts S.S. 304Q. or 316Q. We specialize in providing our clients quality Pharmaceutical Dryers that are simple to use. These dryers are durable and are used in different industries due to trouble-free functioning. We make use of modern technology to make these energy efficient. 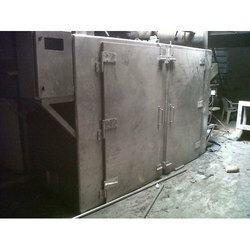 Moreover, these dryers are sturdy in construction and are offered by us at industry leading prices. We are leading manufacturer, exporter and supplier of Pharmaceutical Tray Dryer. Umbrella type dryers are one of our most demanded pharmaceutical dryers. These are widely used in pharmaceutical industries and other industries. We have the ability to customize the product as per the specifications of our clients.